A-Mark was established in 1986. 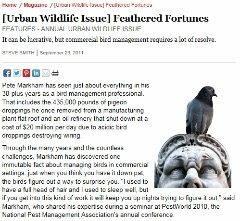 The President, Pete Markham, retired from Eli Lilly Pharmacuetical & Co. as the corporate bird control specialist working in research and development of avian management. 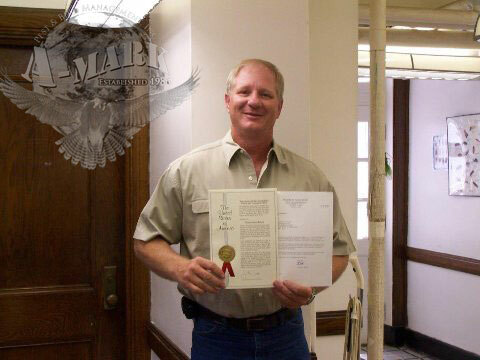 He holds patents in bird control products, speaks at universities and seminars nation wide. He is a consultant for A.I.B. (American Institute of Baking) and works with the U.S.D.A in testing and input of avian management issues. He is proud to be a member of Purdue University's wall of honor. 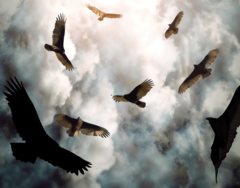 Vultures are expanding their North America range, and bringing bird-related problems with them.